GLODE (Gloade, Glower, Claude), CHARLES, Micmac chief and farmer; married and had at least one son and two daughters; d. 1852 in Annapolis County, N.S. On 2 Dec. 1822 Charles Glode and three other Indians, John Glode, Francis Glode, and Malti Paul, petitioned Lieutenant Governor Sir James Kempt for lands in Annapolis County along the line of a new road being opened between Annapolis Royal and Liverpool. The road was to run through their principal hunting-grounds and would destroy a good part of their livelihood and thus, they claimed, they had to start planting crops immediately. Their application was supported by Abbé Jean-Mandé Sigogne*, who explained to Thomas Ritchie, the local mha, that he had often exhorted Indians to take up farming yet few had had the courage to do so and that, if these men were to succeed, others might follow their example. The board of land commissioners for the eastern district of Annapolis County was sceptical of the Indians’ ability to farm but, in deference to Kempt’s well-known wish to help the Indians, it consented to taking the unusual step of granting land to the petitioners as individuals. Orders were issued in March 1823 for the laying out of 200-acre lots on a ticket of location for each of the four men. A year later, on 12 Feb. 1828, Haliburton introduced Glode at the bar of the House of Assembly with a petition to prohibit the sale of rum to the Indians. Handsomely dressed and speaking in halting English, Glode explained “that himself and friends were led to trouble the House from having daily witnessed the disgrace and misery which spirituous liquors spread among the Indians.” The result of this appeal was a law passed in 1829 that left to the discretion of local magistrates the banning of liquor sales to Indians. The initiative also won Glode a measure of fame among whites. 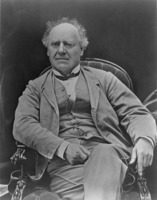 On 13 Aug. 1830 Joseph Howe* editorialized in the Novascotian, or Colonial Herald on the “loathsome” appearance of many Indians, but reminded his readers that for contrast “we should allow the eye to rest on such men as Gload.” From distant London, the Quaker philanthropist Samuel Gurney sent for information about him. Glode added to his landholdings on 1 Nov. 1839 with the purchase of 100 acres from a white settler for £15. On 10 Feb. 1840 he petitioned for a freehold grant to his original holding so that he might pass his land on to his family. This request was first met with the usual argument that a freehold grant would simply be an invitation for some unscrupulous white to cheat a reckless Indian out of his land, but for once the objection was overruled and a freehold grant was issued on 22 February. The government still hoped that the four original grantees would develop the area into what they optimistically called the “Glode settlement.” Lieutenant Governor Lord Falkland [Cary*], reporting to the colonial secretary in 1841, described Glode as a “sober industrious man” with a good farm of 20 or 30 acres under cultivation and several head of livestock. These resources, together with those gained from Glode’s excellence as a hunter, provided a comfortable living. But none of the other Indians had developed their holdings. Glode tried to bring others in, requesting seed potatoes for seven families; four, he said, had already cleared land and the rest planned to do so. 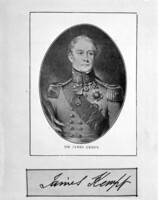 Howe, the first provincial Indian commissioner, visited the settlement in October 1842. Glode was away hunting and had left two young daughters in charge; with some effort Howe persuaded them to allow him to stay overnight. He fully approved of the accomplishments of Glode, who had a well-chosen site, a large barn with its lofts full of hay, a clean threshing floor, good stables, potatoes stored in a root-house, tolerable fences, and a plough. Here indeed was “the most successful farmer of any of the Indians of the west.” The house itself, however, was not up to standard, and Howe left a message offering help to build a proper one. On his return Glode readily accepted the offer and eventually received £10 from the government. He had a frame-house completed by 1846. In February of that year he bought another piece of land, described as part of a mill lot, after he had successfully petitioned the assembly for the £2 purchase price. Charles Glode died in 1852. On 8 April an administrator was appointed for his estate, and within a year it was sold for £25 10s. 0d. to pay his debts. Glode had the distinction of being one of the few Indians to be granted freehold land in the province, and to have left an estate to be administered. He was singular proof to officials that an Indian could become a successful farmer and, in gratitude, they freed him from the legal restrictions that prevented Indians from owning, buying, and bequeathing land as individuals. These achievements won him little praise from his own people, however, for he had chosen the path leading to assimilation into white society. AAH, Edmund Burke papers, no.39 (T. C. Halliburton to Sigogne, 10 March 1827). Annapolis County Registry of Deeds (Bridgetown, N.S. ), Deeds, 33: 400; 38: 278; 44: 186; 45: 95–96 (mfm. at PANS). N.S., Dept. of Lands and Forests (Halifax), Crown land grants, book U: 46 (mfm. at PANS). PANS, MG 1, 979, William Bowman to Peleg Wiswall, 20 Jan. 1829; MG 15, 3, no.89; RG 1, 430, no.188; 432: 21, 115–18, 127–31, 262; RG 20A, Glode, Charles, 1840. PRO, CO 217/178: 91. 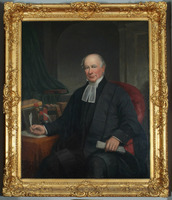 N.S., Acts, 1829, c.39; House of Assembly, Journal and proc., 1826–27: 74–75; 1828: 208 [subject cited as Charles Glower]. Acadian Recorder, 16 Feb. 1828 [subject cited as Charles Glower). Novascotian, or Colonial Herald, 13 Aug. 1830. Upton, Micmacs and colonists. L. F. S. Upton, “GLODE, CHARLES,” in Dictionary of Canadian Biography, vol. 8, University of Toronto/Université Laval, 2003–, accessed April 24, 2019, http://www.biographi.ca/en/bio/glode_charles_8E.html.